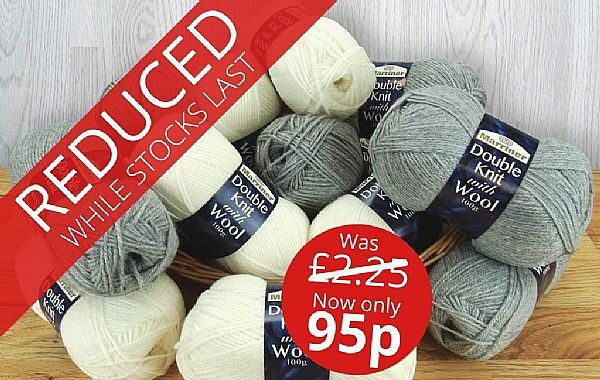 Double Knitting wool is one of the most popular and versatile yarns available. Marriner Yarns DK with wool is a blended yarn that brings together the best of both the natural and acrylic fibre. Acrylic is extremely affordable, lightweight, and can lend softness to some types of wool that people may find scratchy. In our Marriner blend it works perfectly with the natural fibre to create a gorgeously soft knitting or crochet yarn that is warm and breathable. The two fibres blend to create an extremely durable product that is machine washable at 30 degrees and perfect for adding our range of earthy, natural tones to any Double Knit pattern in knit or crochet.